Who wants wired speakers anymore? 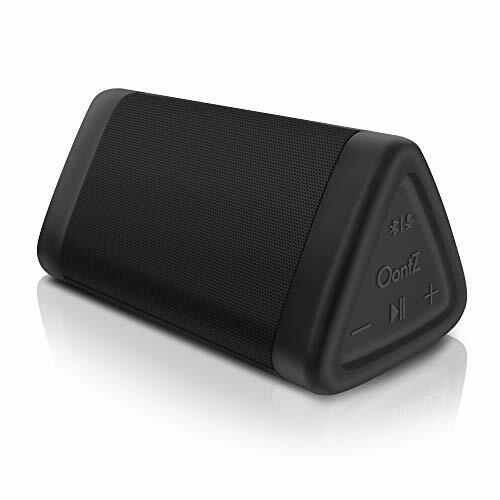 Bluetooth speakers are extremely convenient and can connect to a number of devices. They can also be bought for quite cheap, less than $30. That’s not to say, you don’t have Bluetooth speakers for a couple of hundred dollars as well. 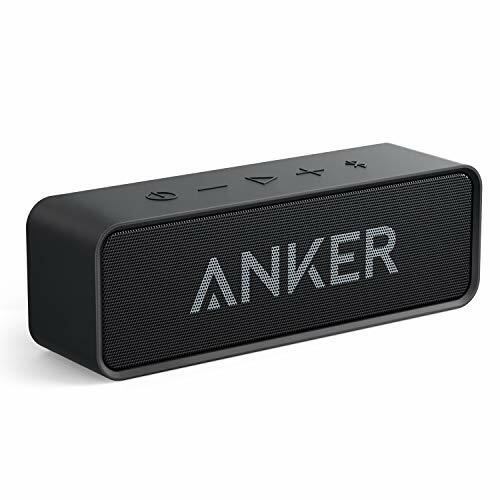 Anker SoundCore is a stylishly designed wireless speaker supported by Bluetooth 4.0. It has an impressive range of 66 ft and the perks don’t stop there. This speaker is truly great for reproducing stereo sound. The audio is well balanced and each sound is richly delivered with great clarity. The SoundCore has a bass feature too, but it’s subpar compared to bass-enhanced speaker sets. But that doesn’t mean the overall sound is any less great. The speaker stands out for its rather long battery life. It can play music for 24 hours nonstop on a single charge. Unfortunately, this Bluetooth speaker is not waterproof. The only downside is that the Anker should be kept far away from bathrooms, pools, and other sources of water or steam. Otherwise, it’s a great product that offers excellent value. If you are like me, you probably like listening to music in the shower. 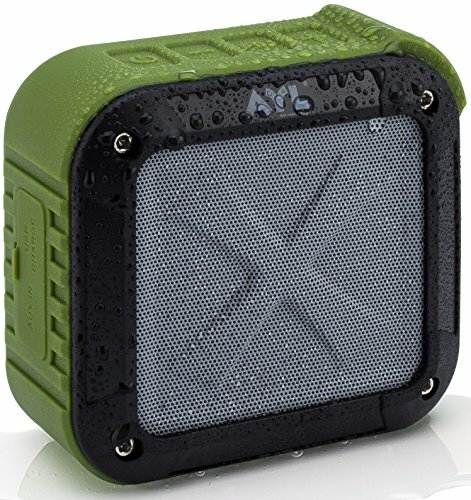 Then this water resistant and highly compact Bluetooth speaker is the best choice. 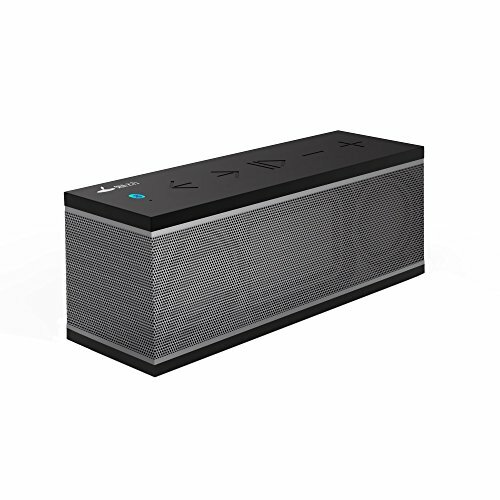 Not only that, this portable speaker set is perfect for outdoor areas. 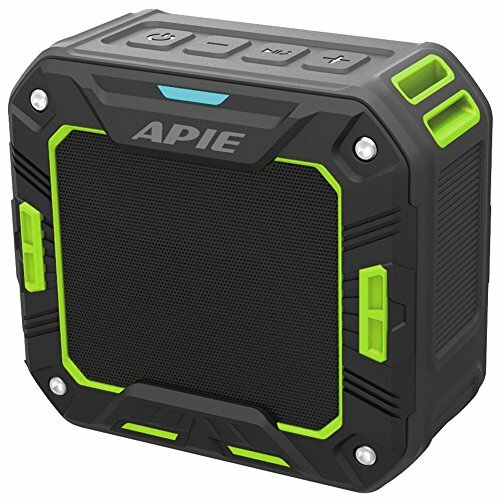 When I’m throwing a barbecue party or out camping with friends, this is the speaker we take. The sound it can generate is very powerful so it’s easy to hear audio over other types of noise like water running or people talking. This is powered by Bluetooth 4.0 tech, so it syncs more quickly than other devices. If you are looking for a Bluetooth speaker that can rival a wired version, this would be it. The entire design of this speaker has been to ensure maximum clarity and exceptional bass. Also, despite its small size, this 10+ watt AMP produces an incredibly loud – yet clear – sound. In fact, it is so loud that it can even be used for outdoor events as well. On top of this, the speaker boasts top-notch connectivity as well. It can be paired to devices up to 100 feet away from it! The battery is also quite impressive and the speaker can play up to 14 hours without needing to be recharged. Last but not least, the speaker is completely water resistant. This makes it perfect for showers, pool parties, and lots more. This gorgeous Bluetooth speaker can universally connect too many devices including Androids, iPhones, tablets, Macs, PCs and Kindle. It can connect to any non-Bluetooth devices with the standard audio jack. It looks like a boom box, and true to the style plays back booming audio with a thumping bass. The speakers are low impedance and, at 10 watts, is larger than regular sizes. The compact size makes it very easy to move from room to room. It’s also water resistant so it can be taken to the bathroom. I recommend this for travel as well, but only as long as you have generous packing space. Most Bluetooth speakers are suited for in-room use. This one is designed especially for outdoor use. It looks very chic and comes with a battery that can last up to 8 hours. The speaker can be charged via USB or a power bank when on the road. The audio generated is powerful and crisp. It can sound clear even over other noises in the surroundings. It’s small enough to easily fit in a backpack. The design is also dustproof and waterproof. The more expensive Bluetooth speakers (costing between $50 and $100), can be purchased for bargain prices less than $30 during the holiday seasons. So, don’t be too hasty to buy a Bluetooth speaker. Always check the Bluetooth compatibility version. Your connecting device may not always be compatible with the version of the Bluetooth the speaker is using. It’s not a waste of money to spend $5 to $10 more for additional features like water resistance, dustproof, FM radio, and in-built mics to double as speakerphones. If you are planning to take your speaker on travels with you, choose an ultra-portable product that can easily fit into luggage. Buy a Bluetooth speaker with a USB cable. If you are taking the speaker on the road, you can charge it easily with a power bank. You don’t have to stick with an ugly-looking set of speakers. Most Bluetooth speakers nowadays come in stylish and chic designs that go well with the interior design.